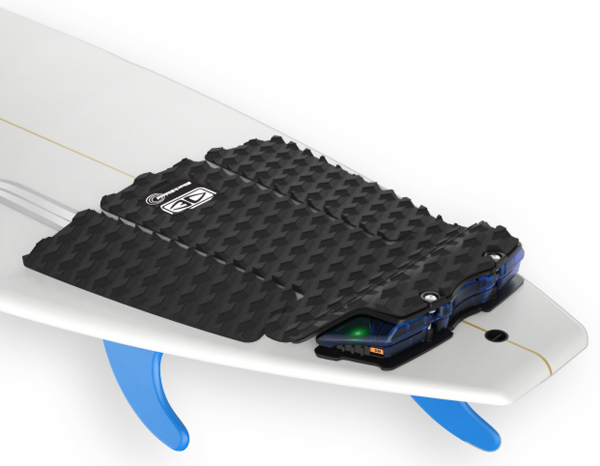 "The anti shark deterent surfers have been waiting for"
COULD THIS BE THE DEVICE SURFERS HAVE BEEN WAITING FOR? Could this be what surfers have been waiting for? This is a hard one for me, as I did not want to plug something like this (like others have done with other things) especially after what has just recently happened. But I thought stuff it, if there is actually something out there that will help save a surfers life or injury against a shark attack, then we need to know as surfers. Here is the spiel off their website. 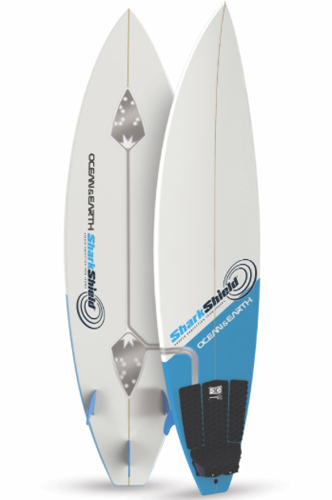 The all new Shark shield FREEDOM+ Surf is the result of collaboration with Ocean & Earth and 2 x World Surfing Champion Tom Carroll. 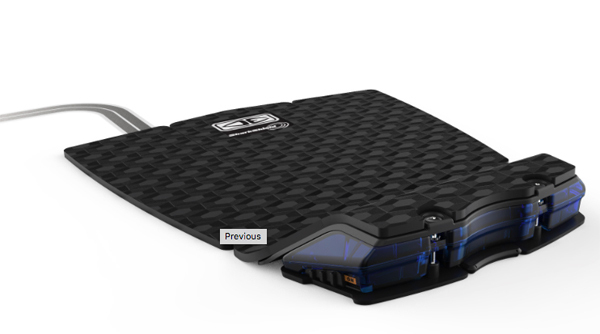 The removable power module is housed in the custom designed Ocean & Earth tail pad kicker, enabling you to move the power module easily between your boards and for recharging. The all important antenna electrodes have been designed into a sticker thin adhesive decal applied to the underside of the surfboard. With a weight of just 230 grams and a near zero drag adhesive decal antenna (only 600 microns thick), there is no impact on your surfing performance. This FREEDOM+ Surf bundle includes everything you need to turn your surfboard into an electrical shark deterrent. Now you may be thinking, but what about that extra weight from the device. Well 230gms roughly equates to 2 blocks of your average sized surf wax. Not much at all when you look at some peoples boards and they already have that amount of wax on them, because they are too lazy to scrape the old stuff off. I'm liking what I see in this new device and with university tests coming out soon on the devices capability, it should be very interesting. One thing I would like to see is the actual antennae on the bottom of the board become available in the colour black. Not only would it then look similar to all those fancy new boards with the carbon fibre strips on the bottom, but it may act as one of those shark disruptive pattern thingamejigs. And the price, well what is it worth? Who knows maybe they government could chip in and subsidies the cost to the consumer under their budget for shark deterrents. Either way if it works it's a worthy investment.